Looking for a Kitchen installer you can trust – We can help you to enjoy the convenience that a modern state of the art kitchen will bring to your home. Our extensive experience of kitchen fitting enables us to provide a wide range of solutions when fitting or designing your new kitchen. No matter what size your Kitchen or your budget is, we can create the Kitchen of your dreams. Care in the early stages of planning your new kitchen essential. Good planning will save you time, money and headaches later on. We offer a free design service, ensuring you make the best use of the space you have when refitting your kitchen. You can also be assured that the quality of all the equipment, accessories and tiles we provide will be of the very highest standard. 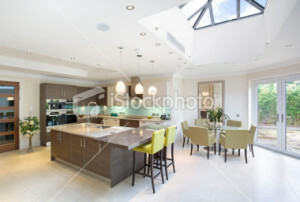 Why choose JJ Kelly (Builders) Ltd to carry out your Kitchen refurbishment?